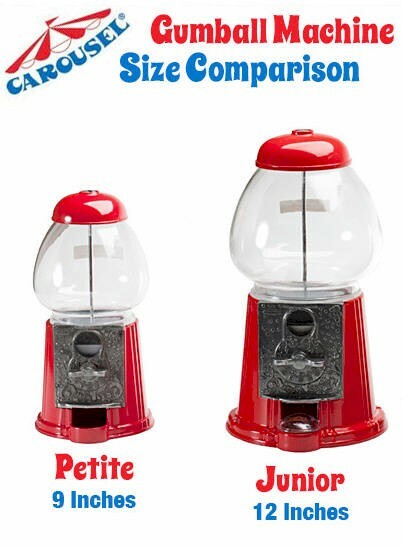 Petite and Junior Gumball Machines and Supplies. 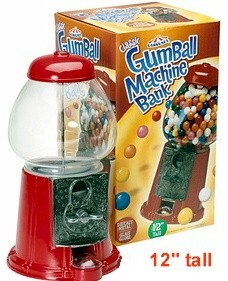 This small version of the original Carousel gumball machine makes a wonderful gift. An optional 8 oz. 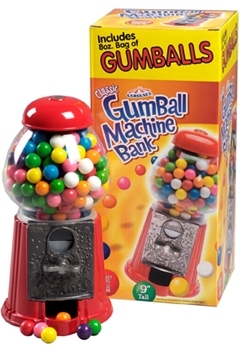 bag of gumballs may be purchased separately with this miniature gumball machine. .Accepts all types of coins or set it to "free spin"
This is the mid-sized version of the original Carousel gumball machine. Brand new. Perfect for your home or office! It's a great gift idea! 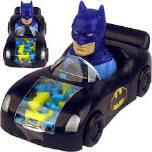 Gum NOT included. 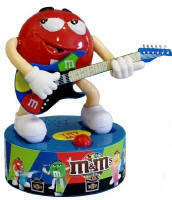 This gumball machine is a novelty gift item. It accepts all types of coins and therefore is not intended for commercial use. 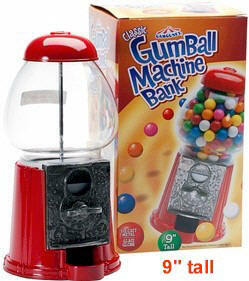 This machine will only dispense the smaller 0.62" size gumballs and other small candies. It will not dispense the large 1" gumballs.